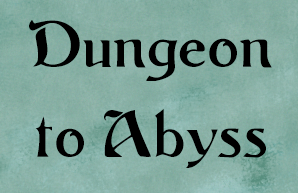 Dungeon to Abyss is a 2d multiplayer online RPG, with fantasy medieval settings, tile based gameplay on 45° perspective. Here you incarnate a brave adventurer to face dangerous monsters and quests, exploring a rich 2d open game world. After witnessing the obliteration of your home world, you start your journey in a new town, surrounded by vast lands, rich in secrets and mysteries. Come up with your own gameplay style by choosing your abilities combos, attributes progression and itemization. Wide range of fun to use character abilities. Fun positioned based combat. Easy to use chat system that enables good communication. Inspired by games like Ultima, Tibia, Diablo, Path of Exile, World of Warcraft.